Building on the energetic momentum of the previous night’s healing, this 1-day healing immersion offers interactive experiences and brand new healing processes to help you dissolve the sadness that lingers in our hearts. No previous experience is necessary. There will be a 90-minute lunch break during this event. This immersion will also include the activation and balancing of the heart chakra to compliment the clearing work done on the heart chakra the night before. Don't forget to check out Part 1 of the series! 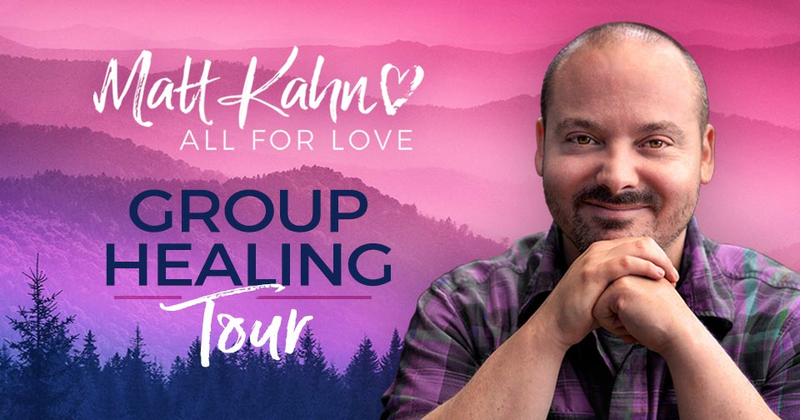 For the past 13 years, highly-attuned empathic healer and best-selling author, Matt Kahn, has been astounding audiences by revolutionizing all aspects of the spiritual journey through his profoundly healing teachings. Focusing his message on offering the most loving approach to each stage of exploration, Matt has carved a brand-new path for those yearning for true liberation, emotional freedom, and to embody their soul's full potential. Join Matt on the biggest healing tour he has ever offered. 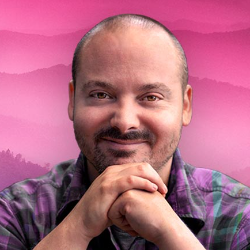 During each two-hour Friday event and Saturday one-day immersion, Matt will use his intuitive abilities to tune into the audience and deliver teachings to assist you in transforming all areas of your life. Often referred to as a transmission of presence, Matt has the ability to channel healing energy through the sound of his voice, allowing you to directly experience the teachings Matt's words convey. If you are ready to feel the presence of your soul and become one with the infinite love within you, then please join Matt for this life-changing tour. Each city will feature brand-new teachings and healing processes specific for all in attendance. At each event, Matt will also be doing book signings, as well as taking time for questions from the audience. Using his intuitive abilities of seeing, hearing, feeling, and direct knowing, Matt feels the emotions of others and is able to pinpoint what blocks any heart from opening. As a result, he brings forth revolutionary teachings through both the written and spoken word that assist energetically-sensitive beings in healing the body, awakening the soul, and transforming reality through the power of love. Many spiritual seekers have experienced amazing, unexplainable physical and emotional healings and have awakened to their true nature through Matt’s profound, loving, precisely-timed and often-funny teachings and transmission of timeless sacred heart wisdom.